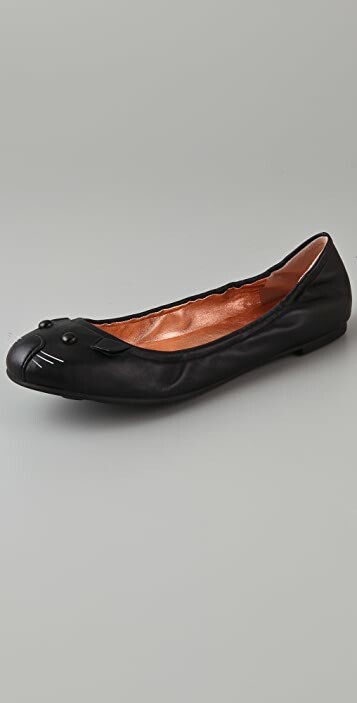 These leather Marc by Marc Jacobs flats feature a mouse detail at the vamp. Gathered elastic top line. 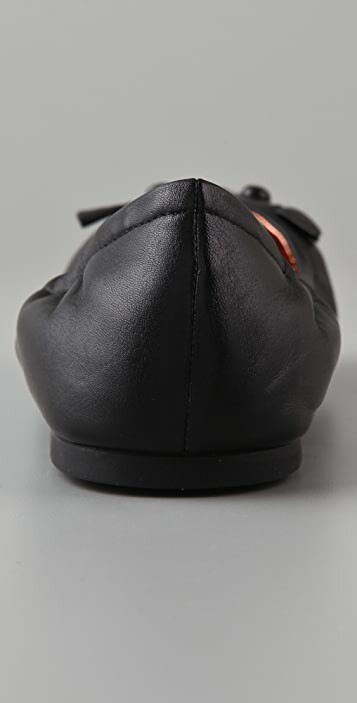 Padded footbed and rubber sole. very comfortable and stylish! will definately order in other colors. The cutest pair of shoes ever! That apart, they are comfortable and great quality. And here's the thing - even though they are so cutesy, they really look all grown up too. Now I want the grey ones and the studded ones as well! I bought it in my true to size 37.5. it fits perfectly and the elastic isnt painful nor too tight! love it! I have been looing for this shoes for a long time and finally I found it! 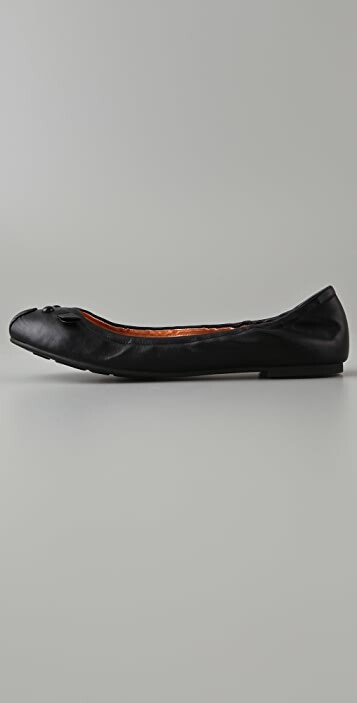 Nornally I wear size 7.5 but I bought 8 because other people said it would be better to buy 1 size bigger but unfortunately this is a bit bigger for me so I bought a foot cushion and I put this in fornt of my shoes. So If you want to buy this shoes I strongly recommend you to buy right size. it is so great to match everything, and very love the mouse style. I simply love these shoes! I think they are very cute and stylish. They were true to size and felt really comfortable on. I am 27 years old and don' think they are childish or silly. They are FUN! I get lots of complements when I wear them. 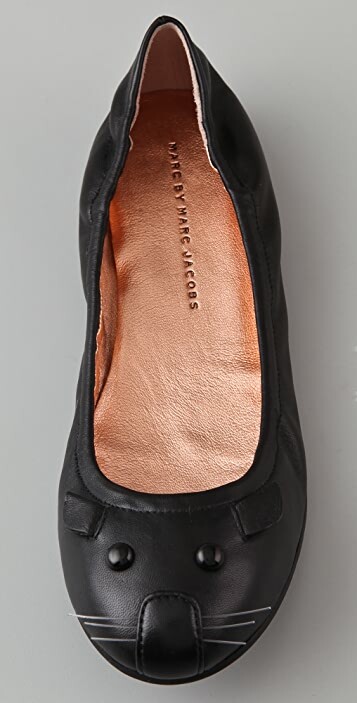 I think they are a good alternative to plain boring black ballet flats. i am so glad I bought these flats.! Cute, soft, comfortable and luxurious and have received a ton of compliments.